Wellington, the capital city of New Zealand, has unique geography, natural history, cultural history and urban development all combine to make it an extraordinary and biophilic city. Wellington is a city of approximately 200,000 people, and is famous for its wind. In the city’s Our Living City plan, they have outlined three goals to remain and a livable and biophilic city. The first goal is to grow and enjoy Wellington’s natural capital, especially in the areas of urban design, land use, open space management, and water. The second goal is to transform their economy and reduce their impact on the environment. The final goal is to show leadership, through encouraging community actions and establishing partnerships. The city of Wellington has been showing leadership since 1841, when the first town plan set aside the wooded Te Ahumairangi Hill as a green belt. The green belt was thought of as the lungs of the city, and used as grounds for public recreation for Wellington residents. Since then an extensive outer green belt surrounds the city, including a mixture of public and private lands from the South Coast to the Colonial knob. Wellington also has several initiatives to conserve their native flora and fauna within the city. First, Zealandia, a project to return the 225 hectares to a pre-human state, is the first fully fenced ecosanctuary in the world. The project has reintroduced 18 native species of wildlife back into the area, and hopes to restore the indigenous character of the valley. Another impressive project is the Otari Native Botanic Gardens and Wilton’s Bush Reserve, which is a unique plant sanctuary and forest reserve including 100 hectares of native forest and 5 hectares of plant collections. The reserve contains some of the city’s oldest trees, and allows residents to experience this nature for free. Despite retaining very little of its original forest (estimated five percent of broadleaf and one percent of coastal forest), Wellington City Council has a goal of planting two million native trees in and around the city by 2020. Since the project was proposed, more than 700,000 native trees and plants have been planted by community groups, the regional council, and citizens. Similar to these terrestrial projects and reserves, Wellington has envisioned a Blue belt to conserve and restore marine life. This blue belt would highlight the significance of the harbor to the city and serve as a source for Wellington fisheries. 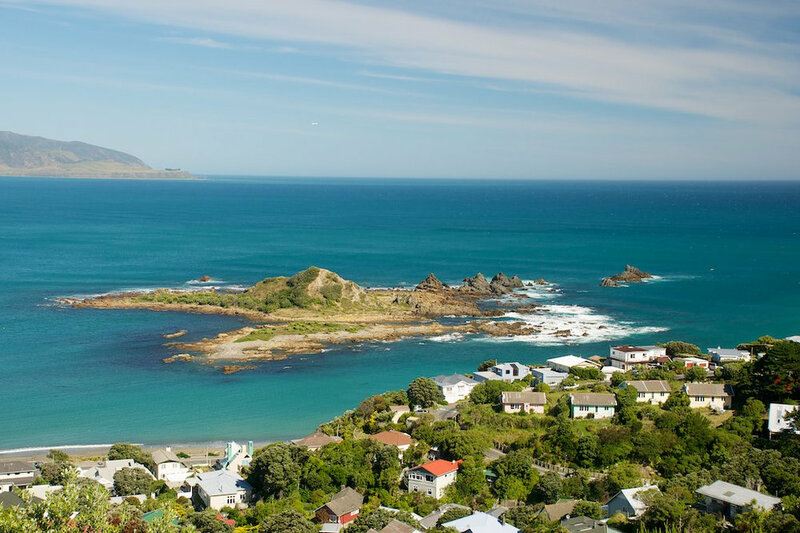 These projects and more are bringing more nature into the city, conserving native marine and terrestrial flora and fauna, and connecting Wellington residents to the nature within their city. Our Living City is a project to improve Wellington’s quality of life by strengthening urban-nature connections and building economic opportunities from a healthy environment. The project lays out the goals of the city and their means to achieve these goals. They support other projects, such as those listed below, as they showcase Wellington’s work in biodiversity, green infrastructure, and urban design. Wellington’s ‘Blue Belt’ is their initiative to conserve and restore marine life, highlighting the significance of the harbour and exploring the possibility of creating an extended marine protection area. Two Million Trees project: Wellington is bringing native bush back to the city by planting two million trees in the city by 2020. With the help of their community partners, they estimate that one million trees have been planted in the last decade. ‘Living Walls‘: Wellington is inviting partners to work with them in testing green walls or vertical gardens in the Wellington environment. Zealandia Urban Sanctuary is is the world’s first fully-fenced urban ecosanctuary, with an extraordinary 500-year vision to restore a Wellington valley’s forest and freshwater ecosystems as closely as possible to their pre-human state. Otari Native Botanic Garden and Wilton’s Bush Reserve is the only public botanic garden in New Zealand dedicated solely to native plants. The Garden is a unique plant sanctuary and forest reserve and includes 100 hectares of native forest and 5 hectares of plant collections. Some of Wellington’s oldest trees are here, including an 800-year-old rimu. The reserve is located 5 kilometers from the city center, making it an ideal location for citizens to interact with native flora. Taputeranga Marine Reserve: The 854 Hectare marine reserve is located close to Wellington’s city centre. It lies in the confluence of three oceanic water bodies and currents, which bring together a unique and richly varied mixture of warm, cold, temperate, and subantarctic fauna and flora. The proximity of the reserve to the capital city and Victoria University makes it an important laboratory for students and citizens to interact with marine life surrounding their city. Kereru Discovery: The original Kererū Discovery Project was launched in 2005 as a partnership between Te Papa Tongarewa Museum of New Zealand, Wellington Zoo, Victoria University of Wellington, Zealandia, and the Department of Conservation. The project hopes to change people’s behaviors to create an environment that ensures a sustainable future for kererū, as well as build a knowledge base of key information accessible to the community. Project Crimson: Project Crimson hopes to get New Zealanders actively connected to nature and contributing to healthy and sustainable ecosystems. Although originally committed only to saving pohutukawa, they have since expanded their vision. They aim to manage major native restoration projects that have capacity for high impact in New Zealand, deliver environmental education programmes that focus on biodiversity, support community and iwi pohutukawa and rata initiatives in medium/high-need areas, be the knowledge-bank for pohutukawa and rata, and advocate for the species and provide scientific research in metrosideros. Wellington Zoo: Wellington Zoo is New Zealand’s first Zoo, and Wellington’s oldest conservation organisation, caring for animals since 1906. Wellington Zoo plays an important role in zoo-based conservation through conservation breeding programs, advocacy and learning initiatives, and working with conservation partners in the field. In addition, Wellington Zoo buys carbon credits to regenerate native forest in the Pigeon Bush reserve. This provides more habitats for native animals by connecting Rimutaka and Tararua Conservation Parks.